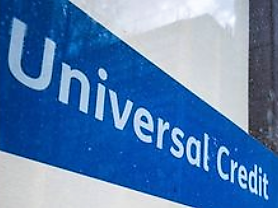 As the clock ticks towards launch of the local Citizens Advice universal credit support project, CARBS Chief Executive Andrea Dunhill met staff from Job Centre Plus offices in Epsom and Redhill. ‘Universal Support: Help to Claim’ begins on 1 April when the benefit reaches the last stage of its roll-out in Surrey. On the agenda was how the local DWP team can best cooperate with CARBS colleagues to make UC work for clients. The meeting also discussed the potential for CARBS volunteers and staff to work from JCP offices. This could be particularly helpful in Redhill where we are short of space. Andrea Dunhill (3rd from left) with local DWP staff at the meeting on 5 March. “The DWP staff also offered us the opportunity to ‘work-shadow’ DWP staff at both job centres. We’ll be able to see how they support people to make their claim and the other help they provide, such as work coaching and Personal Budgeting Support.